I enjoyed the years I spent living in Ann Arbor, Michigan. As it is home to the gigantic University of Michigan, there are many and diverse opportunities for intellectual stimulation and personal exploration. My ideas about what kind of career I really wanted began to gel during my years there. I confirmed that I was not primarily interested in an academic career, nor in any kind of religious career. Although not ruling out a career with a humanitarian organization, I decided to continue along the path in the business world I had started upon my return from Africa. It's difficult to define exactly why I fealt the most comfortable in the business environment. Maybe it's because I saw the goals to be more clear cut, understandable, and easier to focus on. Not that the goals are aways clear cut and understandable and easy to focus on in a for profit commercial environment, but in comparison with other domains, they just seemed easier to understand (and still do) even if they are less worthy of my admiration. The job that I was working at in Ann Arbor as a software developper did not hold any promise for developing into an international career. I also felt that I needed to acquire some additional practical skills in the business area and decided to aim at getting a graduate degree in international business. I started looking for an international program in which I could build on my computer science background and at the same time become more knowlegeable about how the commercial sector worked. I found a program offered by an American university and located in Brussels, Belgium. It was a program in which I could receive a Masters degree in management with a concentration in Information Technology after a year and a half of study. I would be able to fund my studies through a combination of personal savings, student loans, and a stipend received from an internship. It was a big step for me. I was unsure how I would manage living in a foreign country for so long. My unsuccessful experience in Africa had made me uncertain about how I would adjust. But I chose to except the risk and take the plonge. 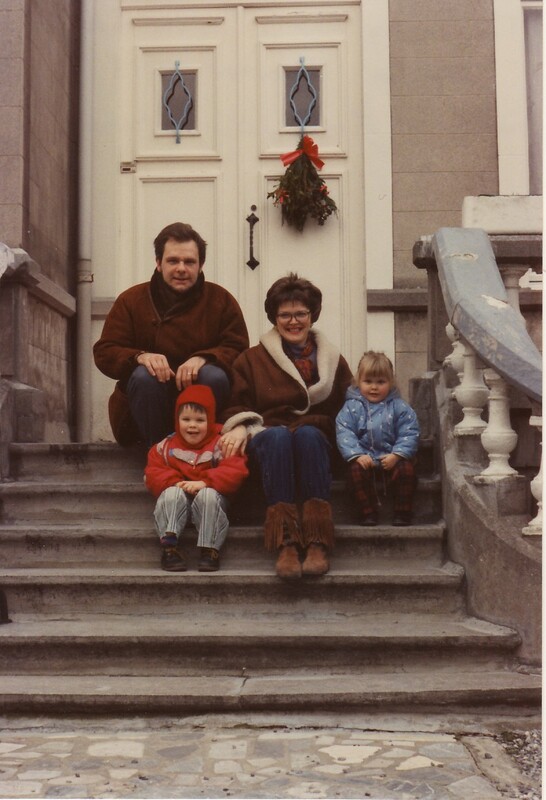 In an effort to avoid the alienation that I had experienced living by myself in Africa, and expereince as much as I could of the local culture, I decided to take up residence with a Belgian family in Brussels which I arranged before leaving the U.S. Looking back on this decision, I think it was a good idea. I'm not sure I would have been able to be resourceful and confident in looking for an apartment after arriving in a foreign country and living with the family did provide me with an insight into the Belgian culture and European mentality. But I quickly met new people and made new friends from all over the world. I thrived in this new environment and after the first 6 months moved into my own apartment with a beautiful view over the city of Brussels which I kept for the next twelve months. Upon receiving my Masters Degree at the end of 1994 I was ready for the next step. 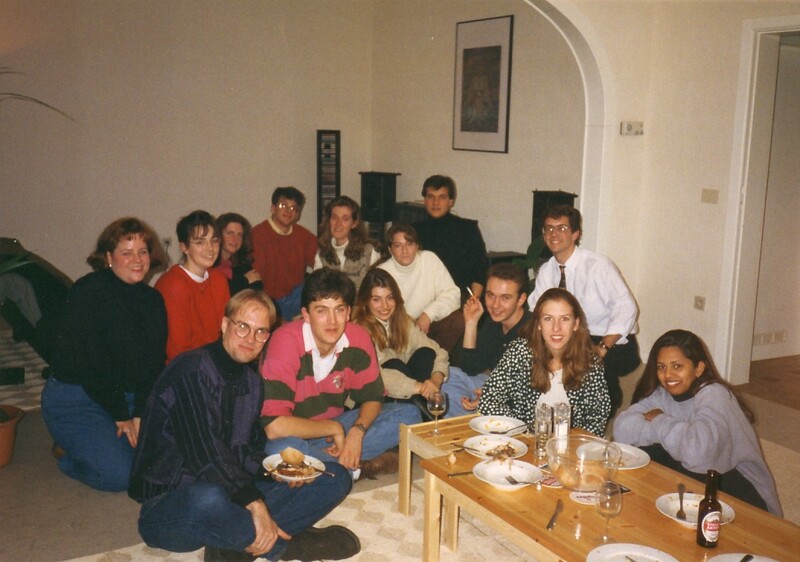 My ability to live and work in Europe had been confirmed and I was eager for more. In the last few months of my studies I had engaged in an extensive job search in the hopes of finding a job in Europe. It was certainly not easy to find a job as a non-European. My one positive lead came from an American consulting company who needed someone to help with a joint project they had in France with a French subsidiary of another American company. As I wanted to stay in Europe and didn't have any alternative opportunity to be employed there, I accepted their offer. The project was located in the provincial town of Orleans some distance south of the Paris metropolitan region where I lived for a few months before transferring to another project located in Paris. The project in Orleans exposed me to a real French language immersion experience which was very challenging but lead to rapid improvement in my French skills. My new project in Paris introduced me to the automotive industry in which I have continued to work ever since. I worked in Paris for the remainder of 1995 and was then transferred to Detroit for another two years before returning to Paris in 1998, this time to stay until 2003. I then transferred to Stuttgart, Germany where I spent four years working on an American payroll. Since the beginning of 2008, I have once again returned to France (for the third time). This last move has added a new dimension to my career as I have taken a job with a completely European company and am working on a local contract with European working conditions. So it has been a rather long and eventful road but never a boring one, with ever changing challenges and circumstances. And even if my life at times has left me in some uncertain situations, it has been a continuous forward moving progression in which each new year has added something positive to a unique collection of experiences. It is against this background that I embark on a public series of ruminations about what has struck me as significant or noteworthy and what has inspired me and continues to inspire me along the way.